"" Writer's Wanderings: Grand Cayman - Green Shorts!! 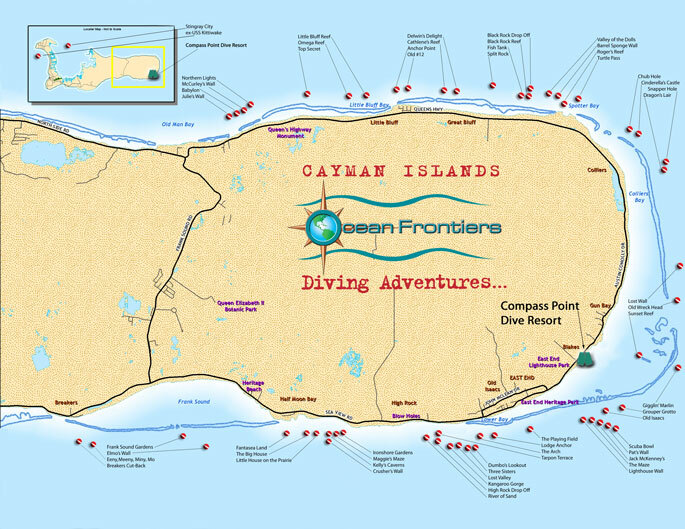 We have been diving the East End of Grand Cayman since around 1996. 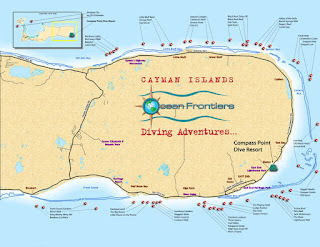 There are at least 55 marked dive sites in that area. 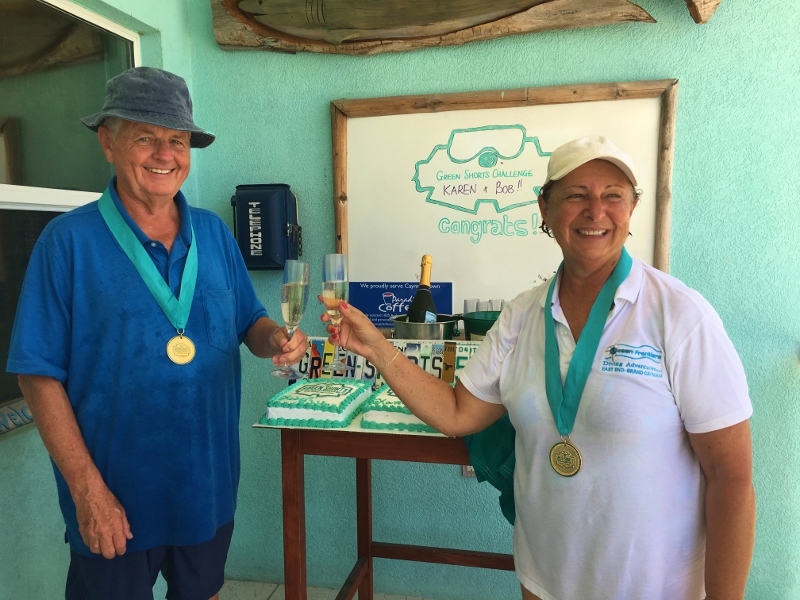 Originally we were diving with the East End Dive Lodge but when Hurricane Ivan wiped it out completely, we switched to Ocean Frontiers and now have been diving with them for 13 years. 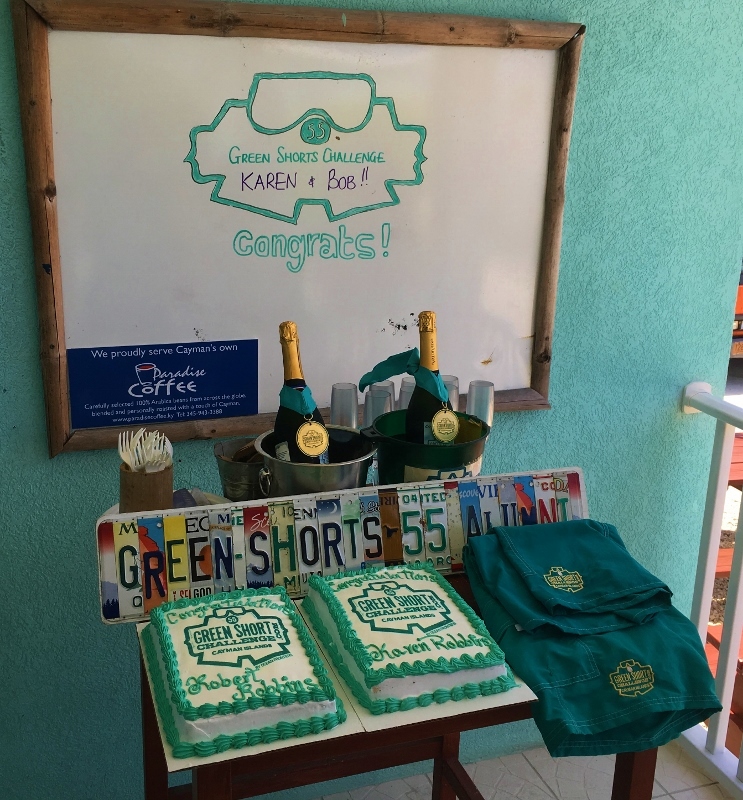 Several years ago they set out a challenge to their divers: Dive all of the 55 sites and receive a pair of their iconic green shorts. They allowed us to count the dives we'd done with the Dive Lodge as well since they were recorded in our dive logs. Still there was always that one elusive dive, Old Wreck Head, that never seemed to be within our reach. The problem with the site is that the dive boat has to anchor. There is no mooring pin because of its location near the cut-threw channel where the boats go in and out of the area surrounded by the reef. Because it is in that cut-threw area, there is also the danger of current, the anchor not holding if the wind and waves are strong and with all of that, the visibility reduced because of the motion of the water. Wouldn't you know it--the time I decide not to dive because of my bad knees it the time the weather decides to cooperate to dive Old Wreck Head. Bob came into the condo all excited with the news that the weather was to be good enough to get to Old Wreck Head the next day. Did I want to try it? Will a donkey or a mule not pursue a carrot on a stick in front of her? Of course I couldn't pass up the challenge. But would I be able to get back on the boat? We went down to the dive center and I filled out all my disclaimer forms and signed up. Debbie assured me that the crew would handle my equipment. I could put my gear on and plop into the water from the swim deck and they would take the gear from me at the back of the boat before I had to climb the ladder. And if I couldn't climb the ladder? Would they tow me? She laughed and said there were lots of ways to get me out of the water and on to the boat--trust the crew. I did. They were wonderful. And I did make it up the ladder, slowly, but on my own. Best of all back at the dive center we were rewarded with medals, champagne, a special cake and yes! our very own green shorts! Next year I'll return wearing my green shorts and sporting a new knee.